Pain that is actually related to a problem with the hip joint is usually felt in the groin or front of the thigh. This is usually pretty surprising to those wondering about the pain in their hip. The hip joint itself is your basic ball and socket joint, with the femur coming to a head and fitting very securely, with the help of a series of strong ligaments, into the socket of the pelvis. This type of hip joint pain is usually something that comes on later in life because of wear and tear in the joint. This kind of pain is usually accompanied by a significant loss in flexibility to the joint. 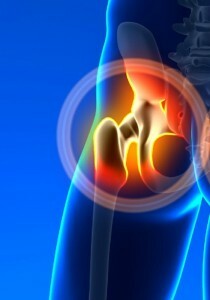 In more rare cases however, hip joint pain can also be related to a problem with hip joint cartilage or ligaments. For a detailed discussion of this condition check out this post – “What Is Hip Bursitis and Best Exercises For Treatment”. As opposed to hip joint pain, this kind of hip pain is manifest as pain more along the outside of the hip, and is usually very tender to direct contact or palpation. Oftentimes pain that is felt in the posterior (back) region of the hip is actually stemming from the individual’s lower back. This is a common occurrence because the nerves can get irritated as they exit the spinal canal in the lower back. Because of the close proximity with the low back joints, it is common to feel pain in the posterior hip or rear-end area, that is simply related to an issue of the low back and not the hip joint itself. This can be a very frustrating condition and can often be very difficult to treat. The piriformis is a small muscle located deep in buttox, underneath the powerful gluteal muscles. It’s job is to help rotate the leg out away from the body. It is thought that this muscle can get tight and irritated and sore, causing pain deep in the posterior (buttox) region. The part that makes piriformis syndrome so difficult is its location relative to the sciatic nerve. You sciatic nerve actually passes right under your piriformis muscle; tension in this muscle can lead to irritation of this nerve. People with this kind of pain usually have a very localized tenderness deep in the buttox region. Because it can cause nerve irritation, this syndrome is often difficult to distinguish from lumbar radiculopathy and often requires a more in-depth evaluation from your physical therapist. Your hamstring tendons actually originate up pretty high in pelvis. The hip pain you’re experiencing can also be related to that origin and is often referred to as hamstring insertional tendonitis. This pain is also located posteriorly, though much lower in the buttox region. Pain of this nature can often be identified through specific muscle testing and palpation by your therapist. As you can see, hip pain is not always straightforward. Physical therapy treatment of each of these conditions looks quite different, so it is always important to diagnose the condition properly. Though tricky to diagnose at times, our therapists are experts in identifying where your hip pain is coming from, and how to best treat your specific condition. We are here to help you find relief. I have had many patients that have dealt with the frustrating, and life altering affects of hip pain for months and even years. They have seen amazing results, avoided surgery, and improved their quality of life, by just giving PT a shot. Give it a try today! 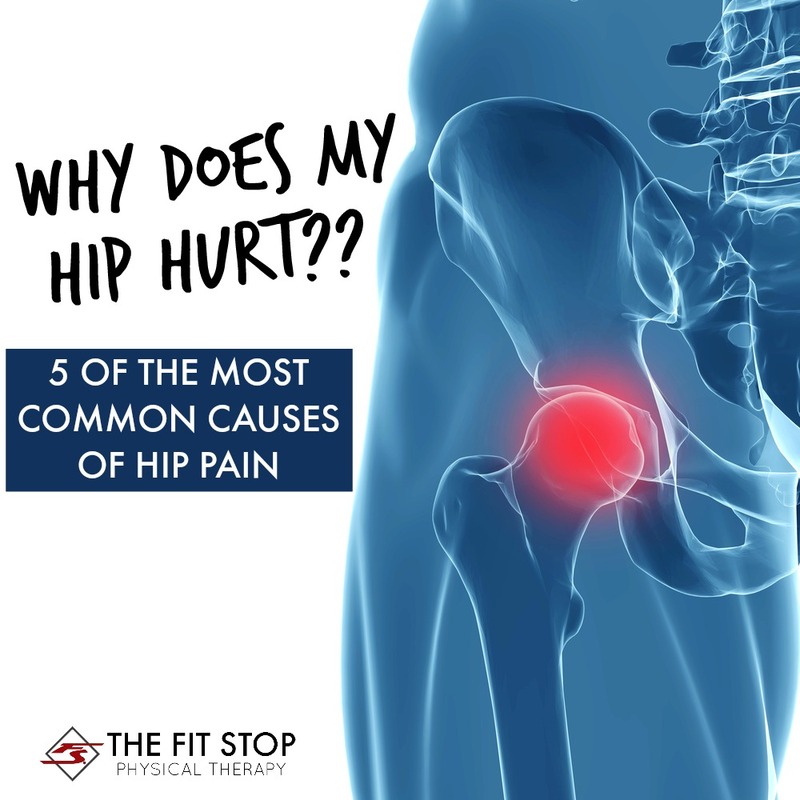 Come see us any time at the Fit Stop for any questions related to your hip pain. Click the location below to set up an appointment!